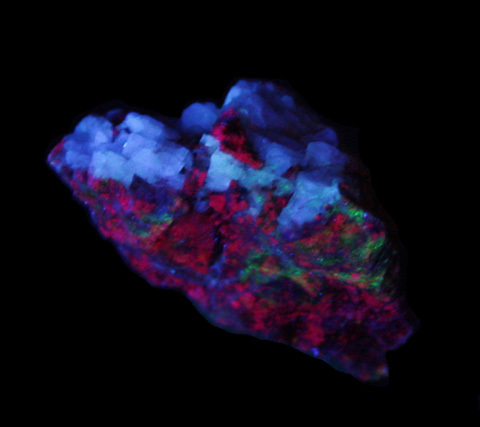 I named this small unnamed Fluorite mine the Fluorite-Feldspar mine. 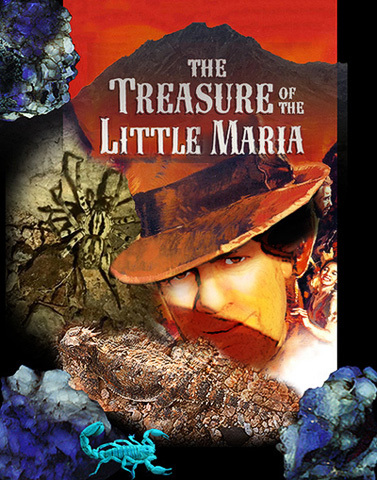 That's Indian maiden "Blythe" with the nearby Coloado River and the Little Maria Mountain peak under a fluorescent Feldspar moon. 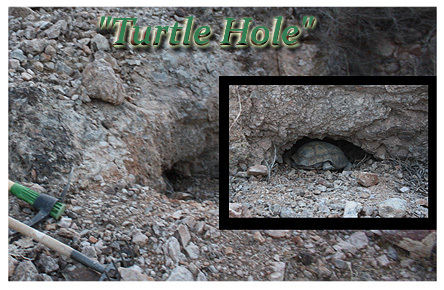 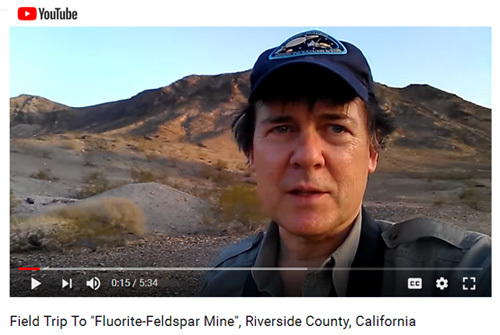 It's a beautiful serene location especially under a Full Moon but my mine logo art is pure imagination, a desert mirage. 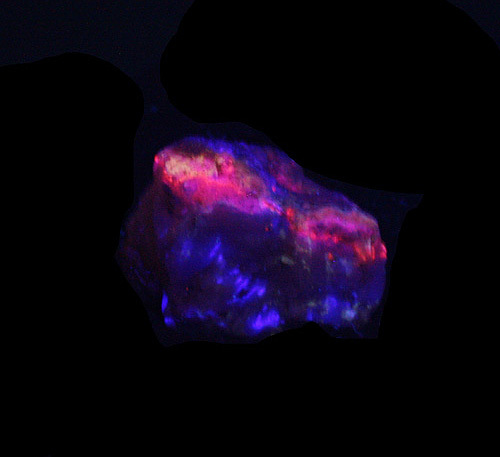 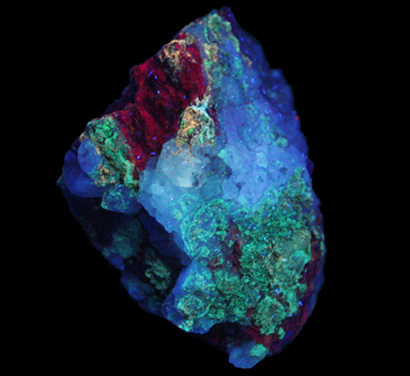 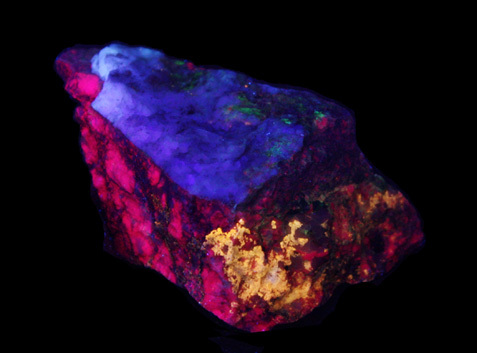 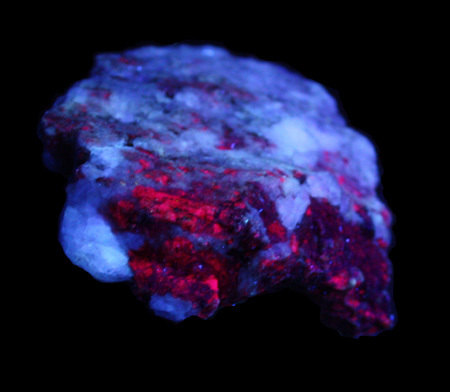 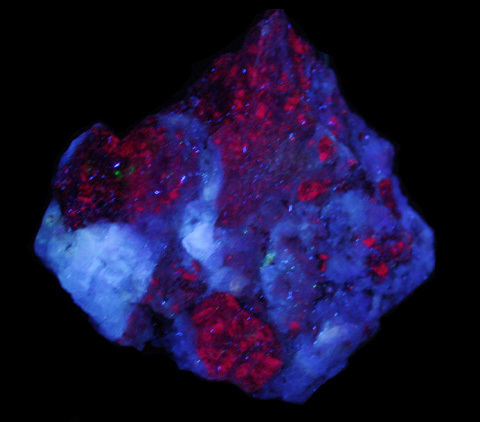 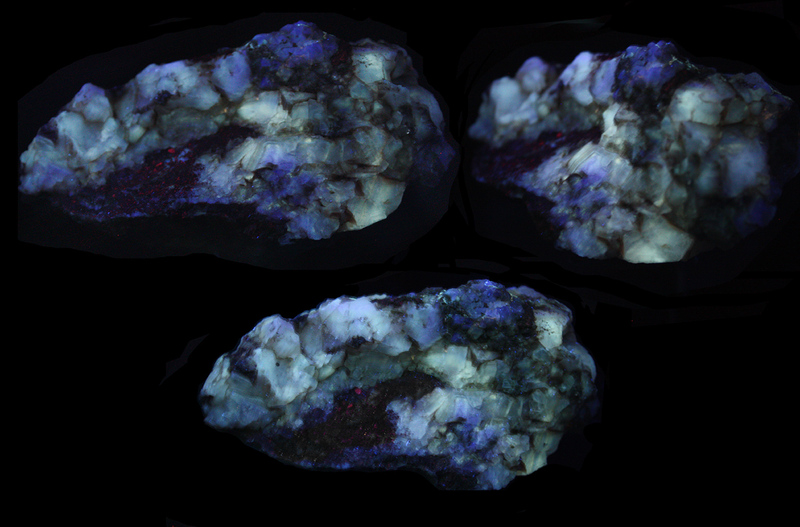 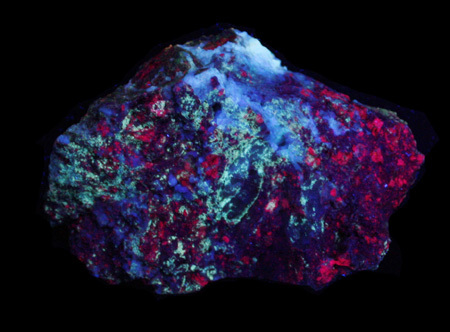 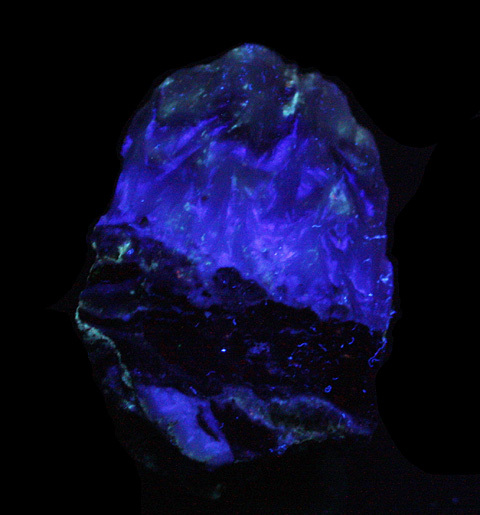 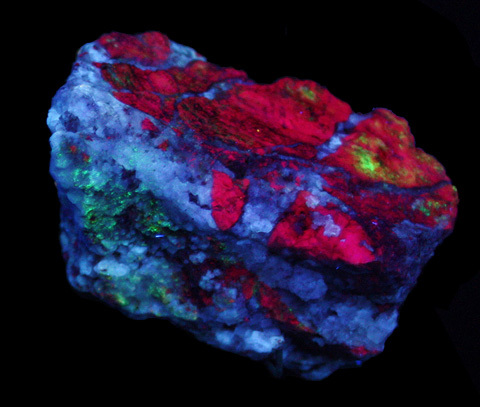 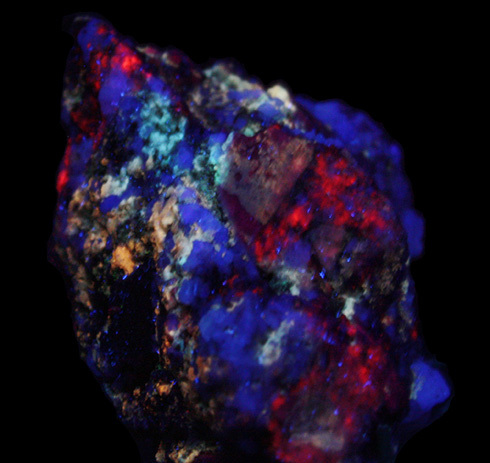 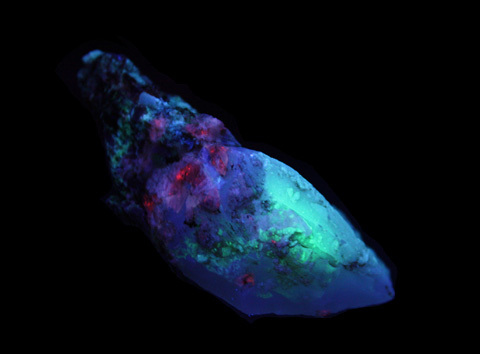 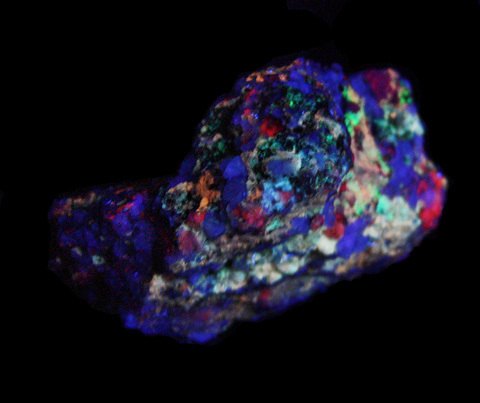 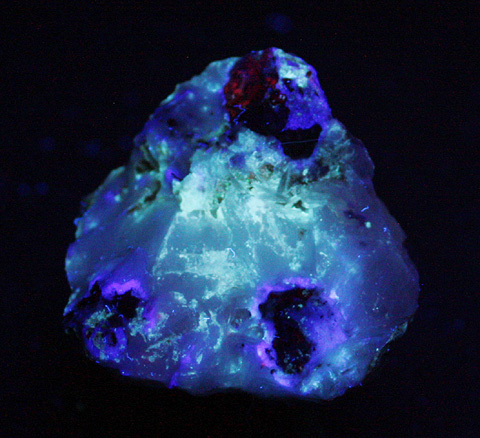 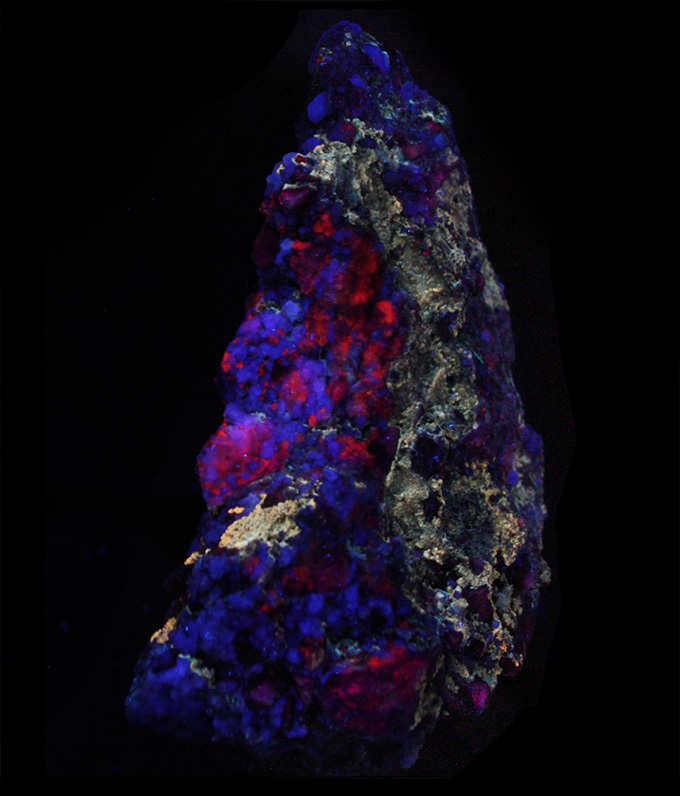 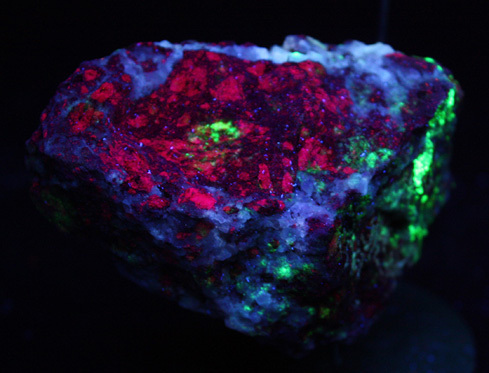 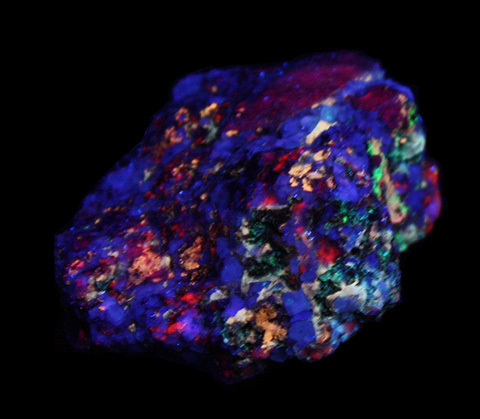 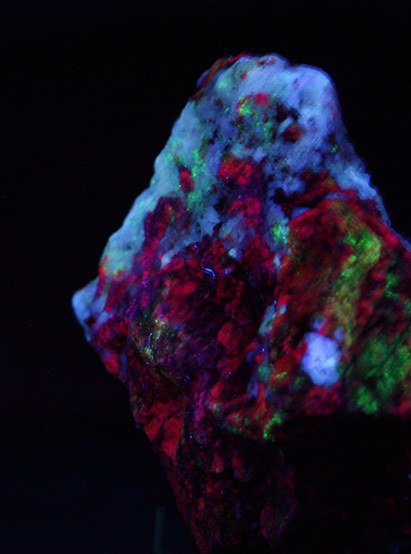 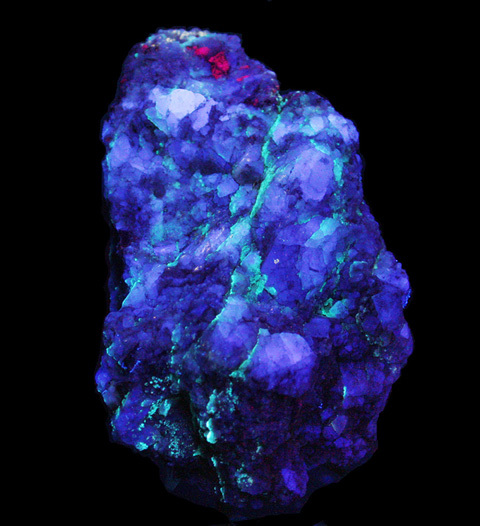 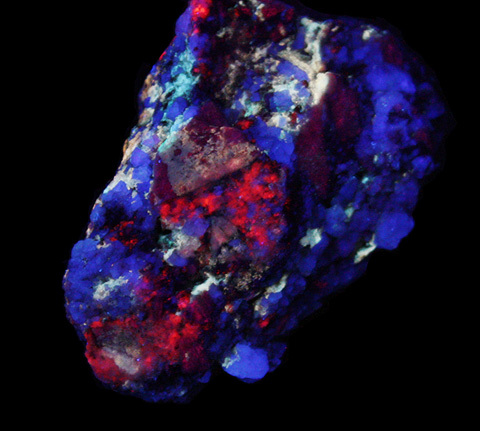 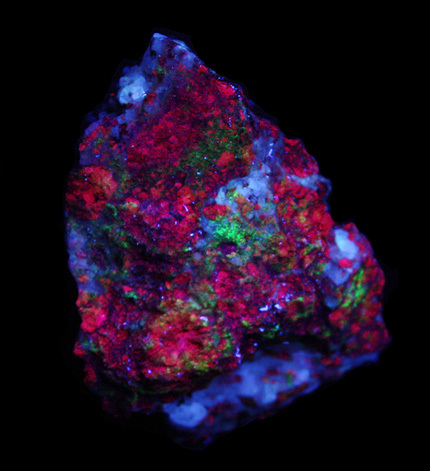 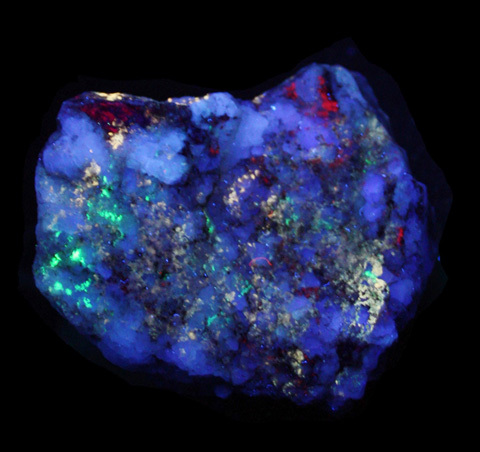 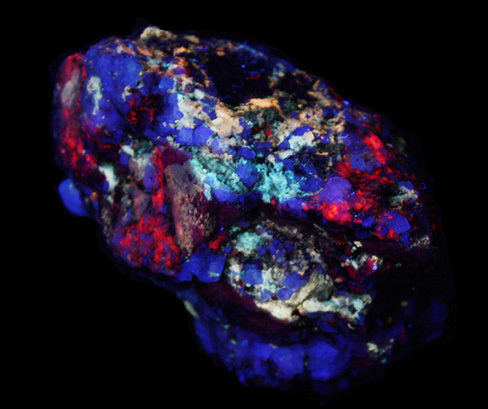 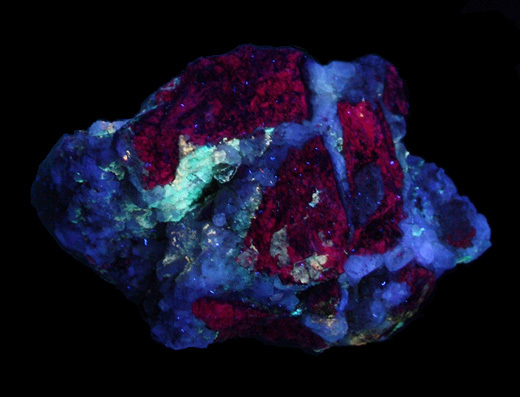 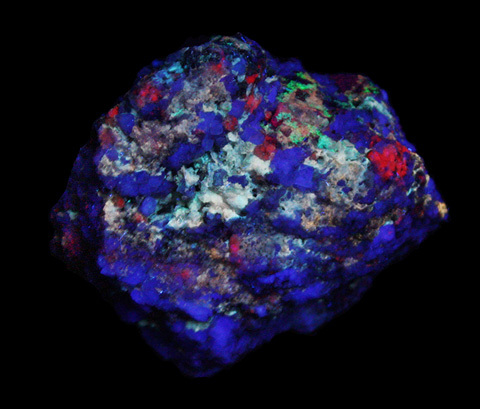 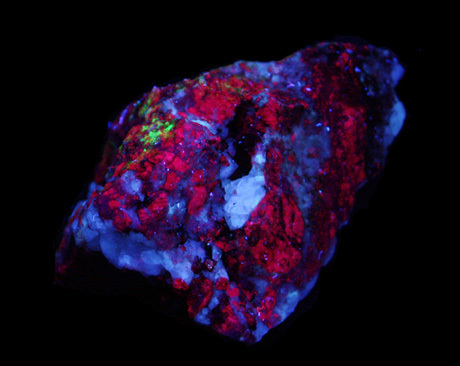 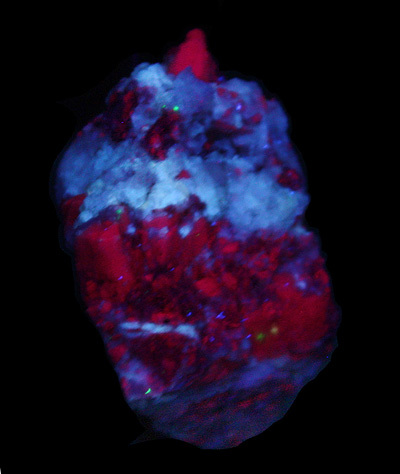 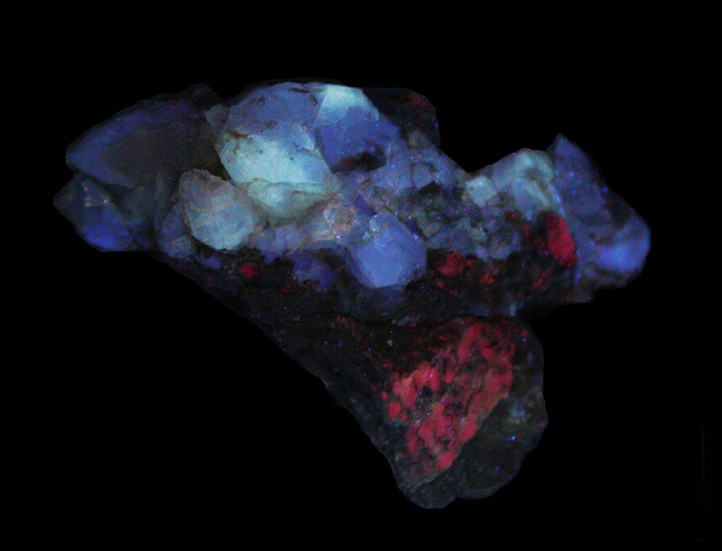 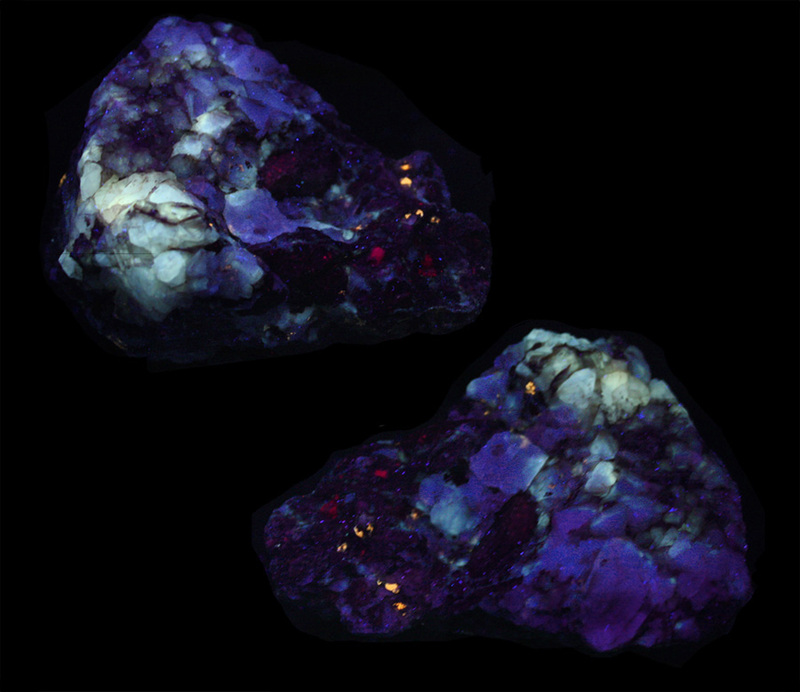 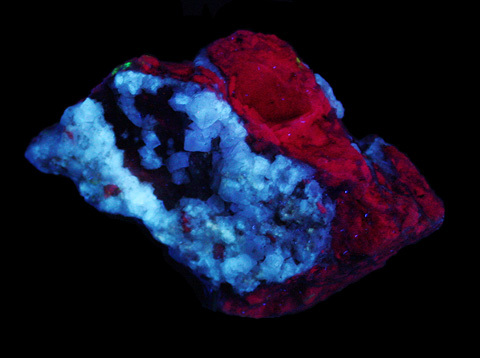 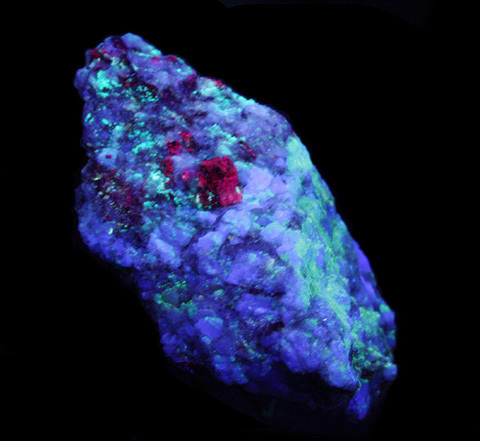 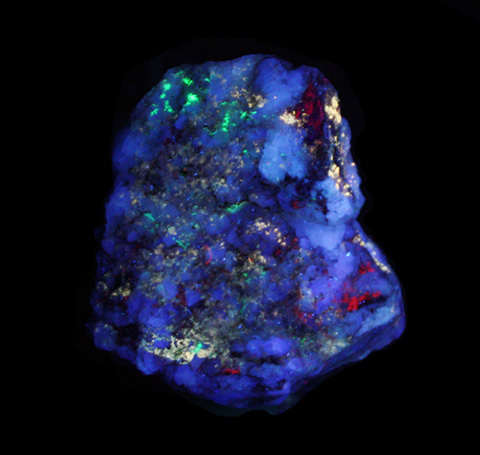 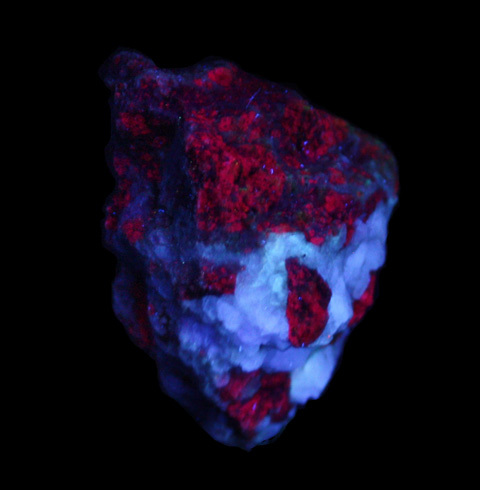 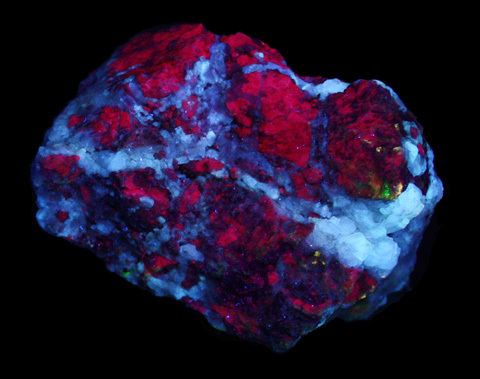 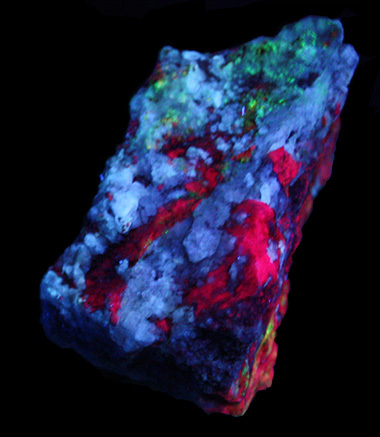 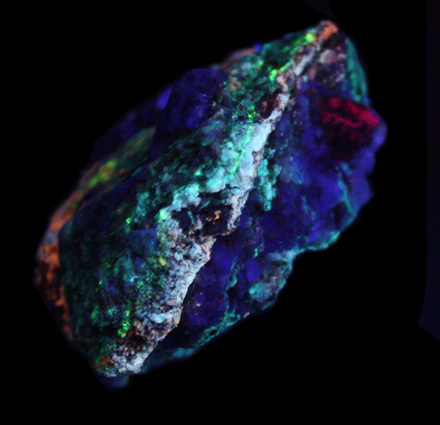 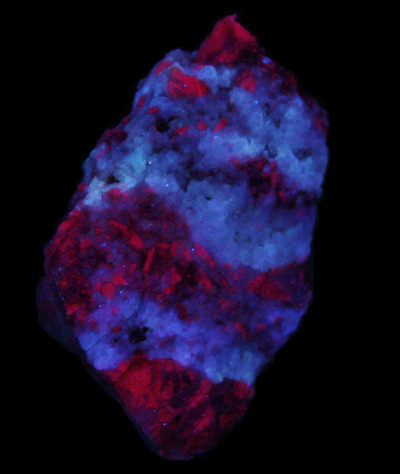 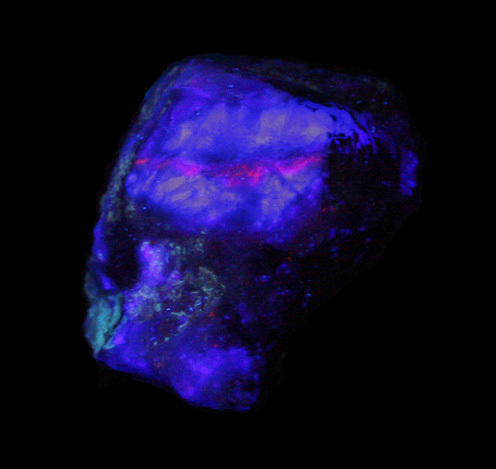 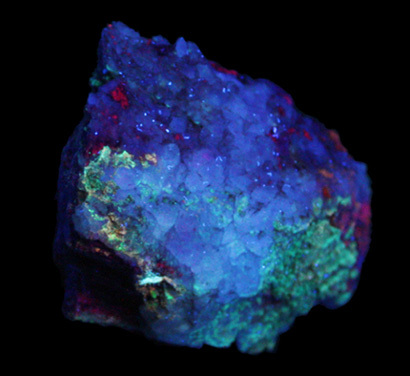 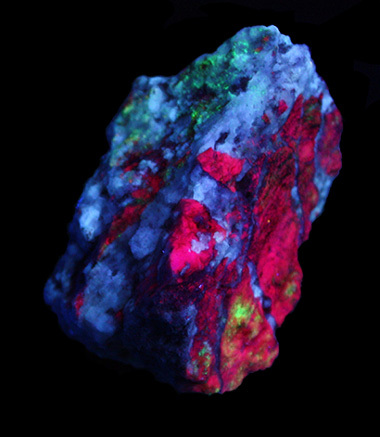 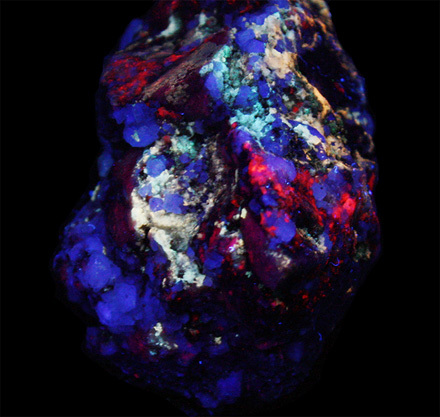 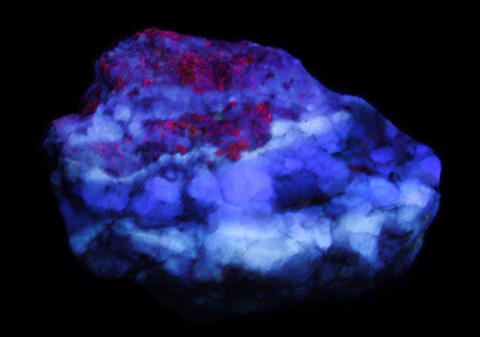 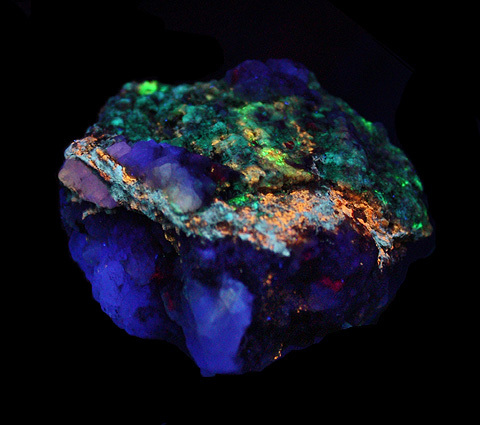 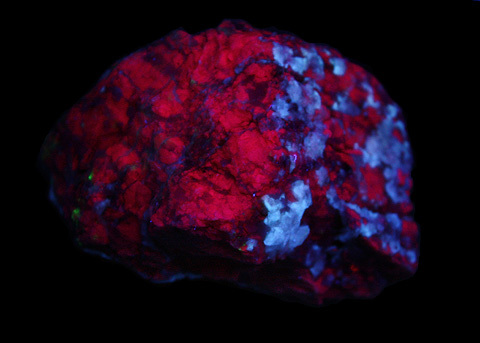 There are only scorpions, lizards and tortoises, no moon-bathing maidens so far but there were beautiful fluorescent minerals. 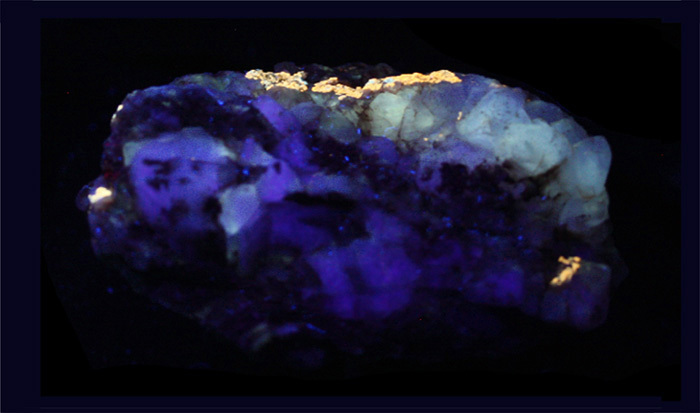 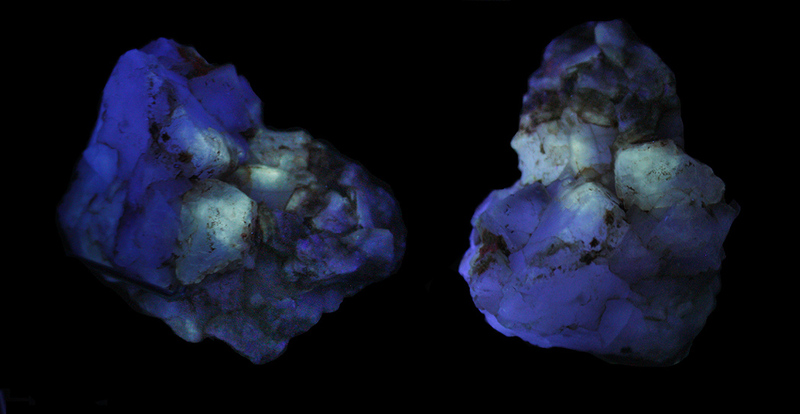 More Barite-Fluorite UV pics will be added but here are some of the best specimens and pics so far. 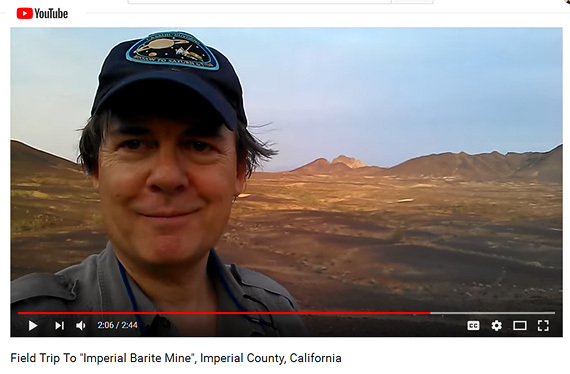 But there's a mystery . . . . . .
Barites that are "out of this world"? 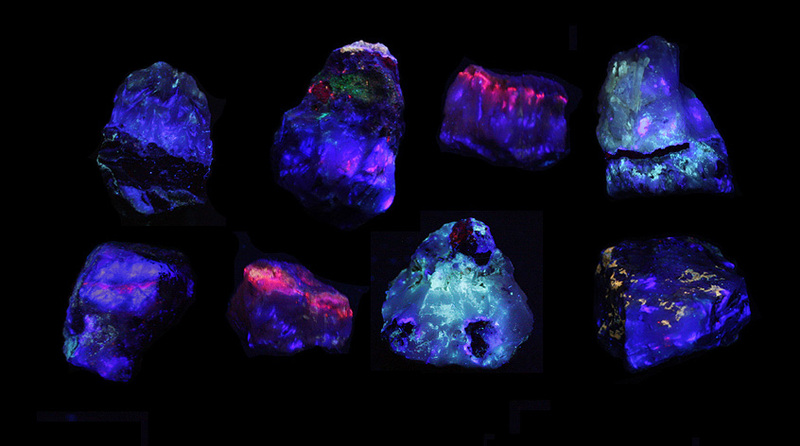 I'm not a geologist or scientist but to me all these pieces look like Barite in daylight. 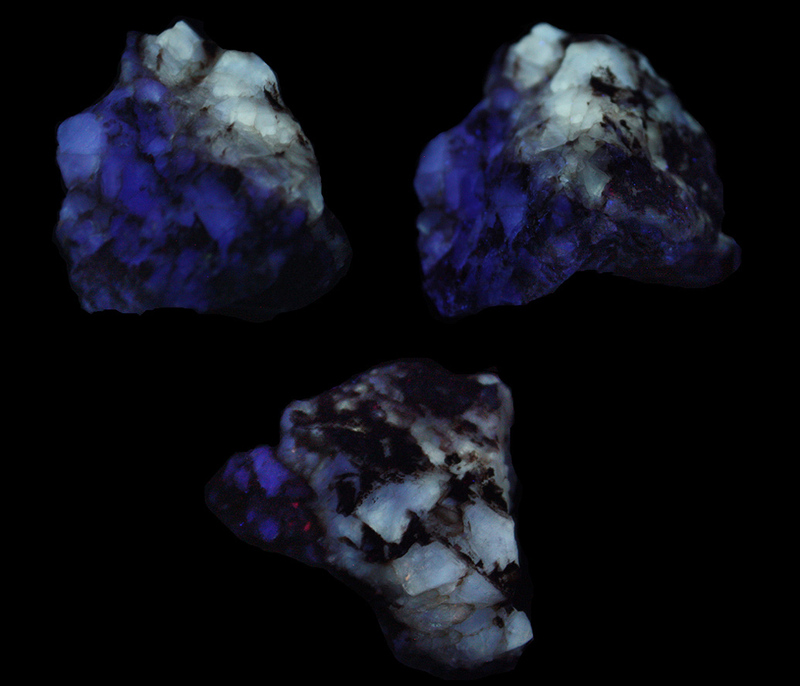 They're heavy and solid-looking. 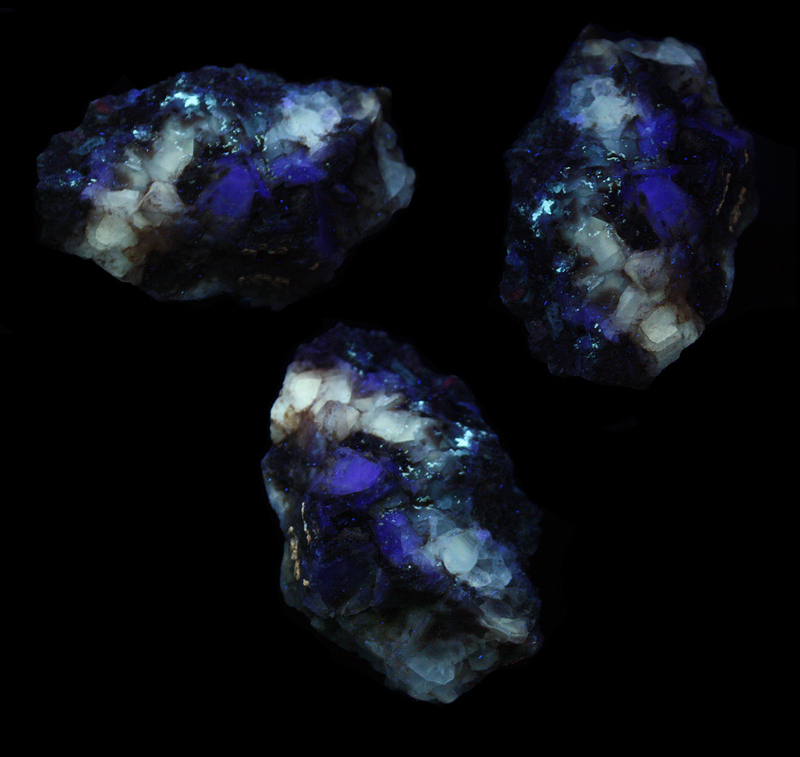 I picked them up from a mine dump of Barite chunks. 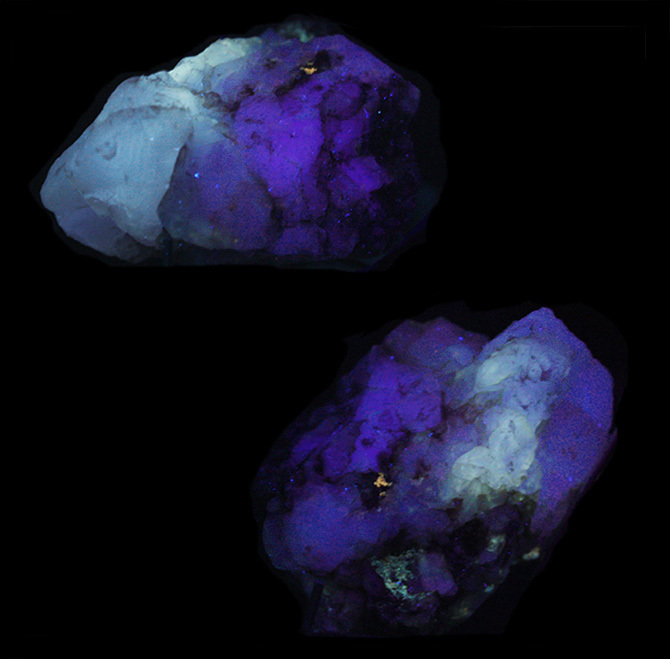 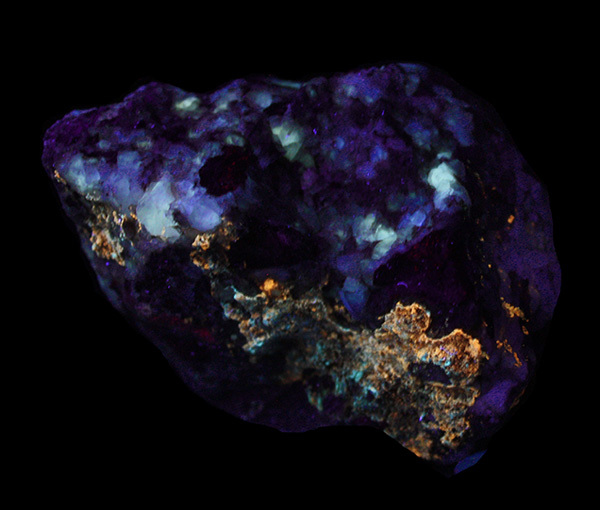 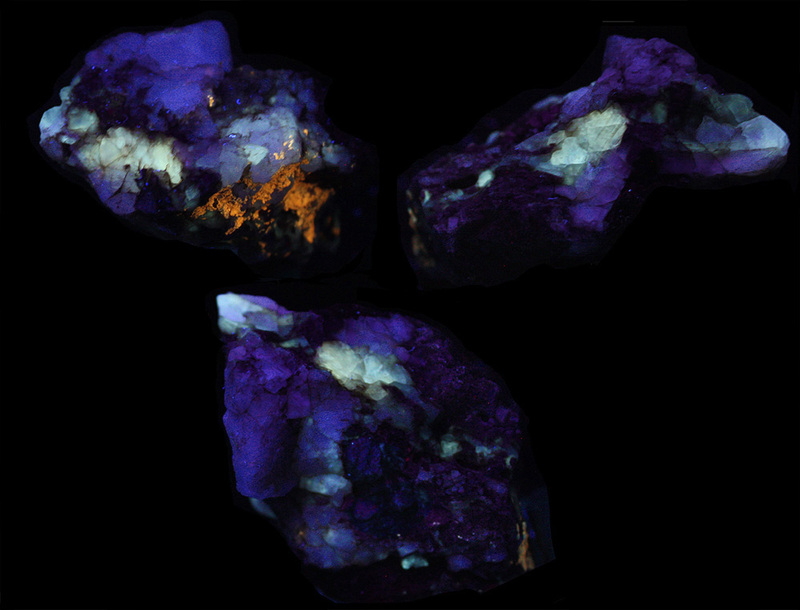 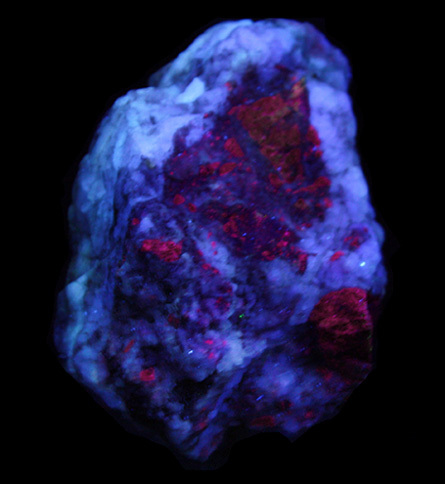 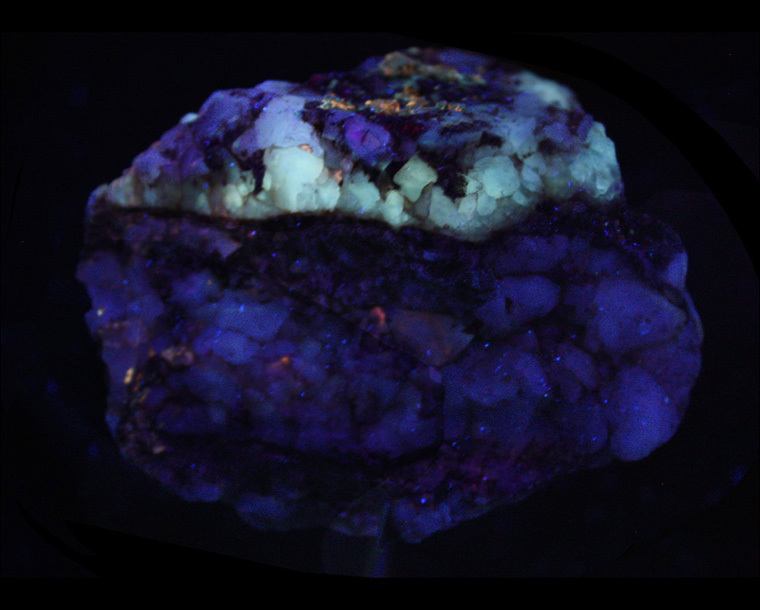 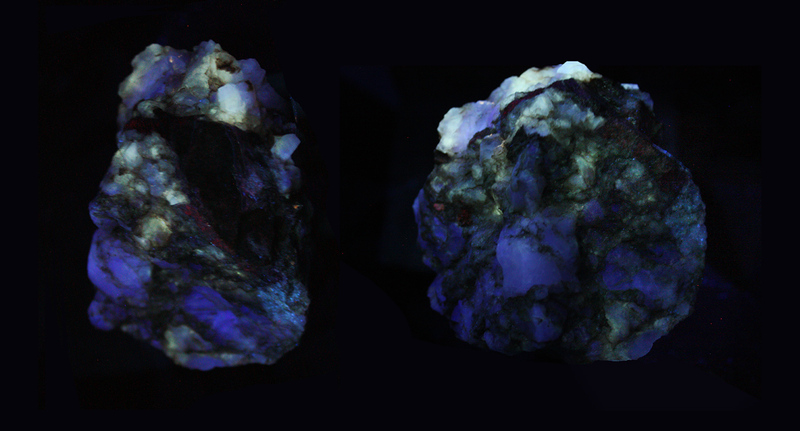 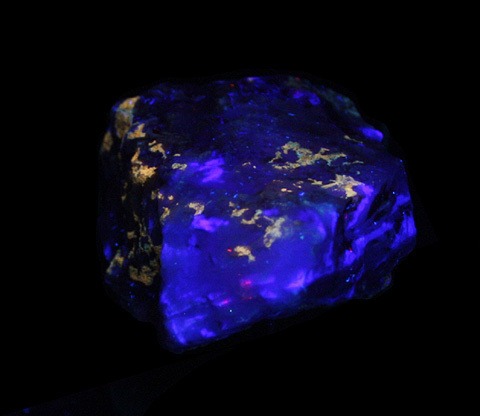 But they mostly fluoresce a wonderful deep shade of purple-blue like Fluorite. 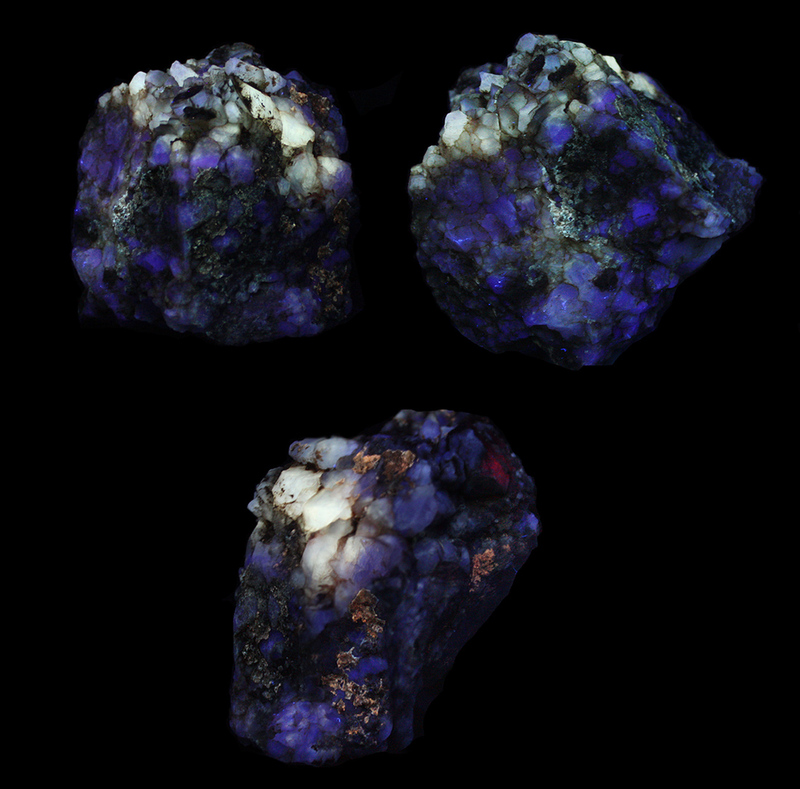 Are they a mix of some kind? 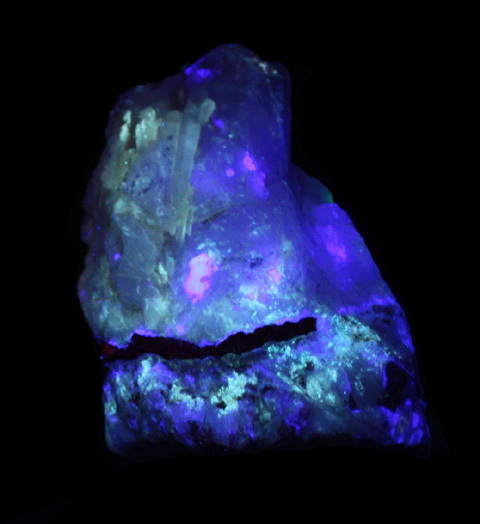 For example, look at "Barite-Fluorite H" below. 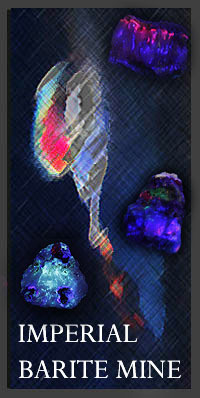 That's a very typical piece. 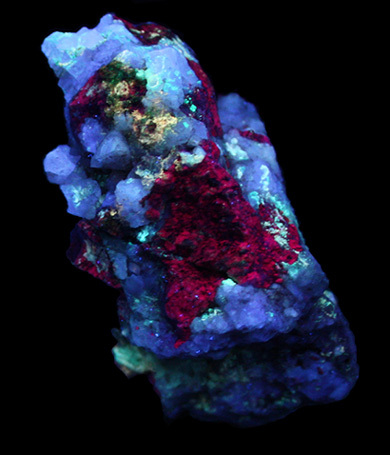 It's supposed to be Barite. 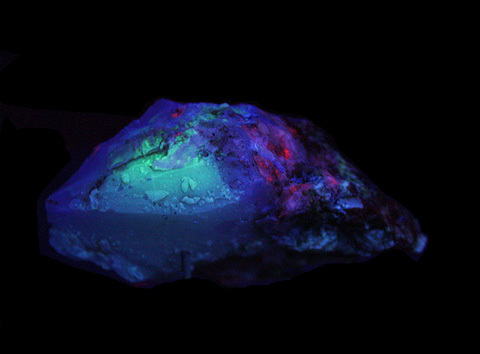 But where's the pale cream fluorescence? 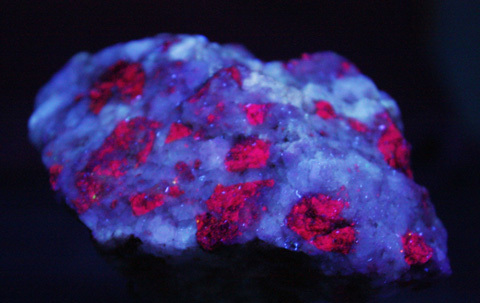 Maybe they should be called "Bluorite" or "Flairite". 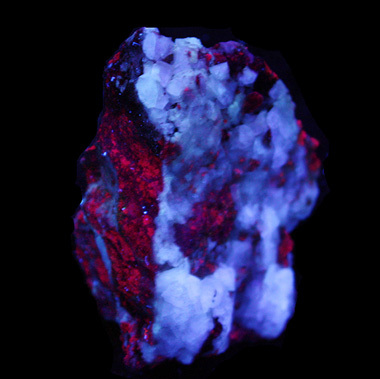 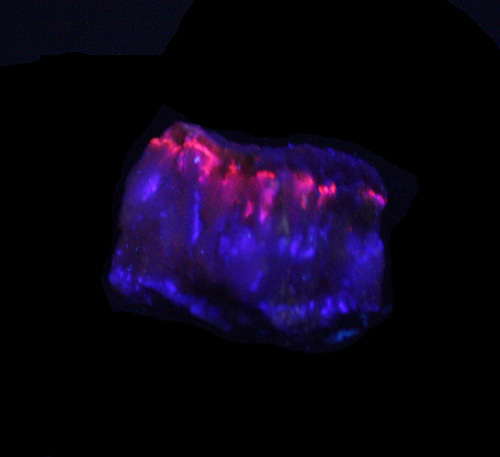 The black non-fluorescent bands are found on many of these pieces.